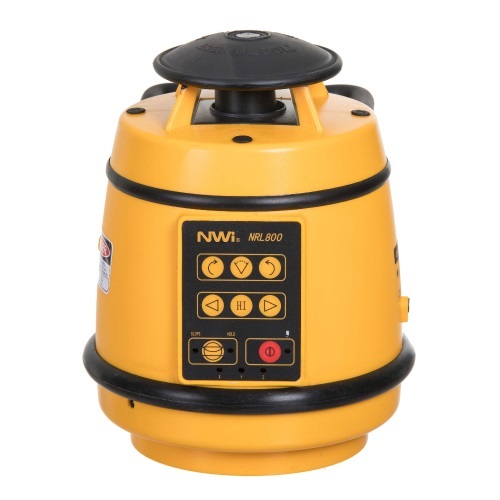 The NRL800 self leveling exterior rotary laser by Northwest Instrument is rugged, durable and precise. Please be aware that this model does not have a plumb-down beam. 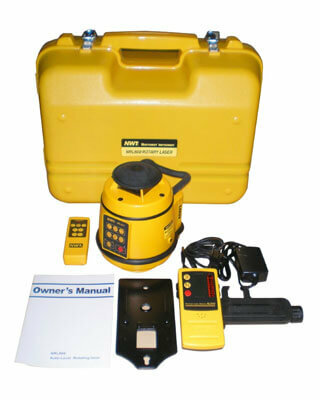 Operating range — 2,000 feet Radius with detector.